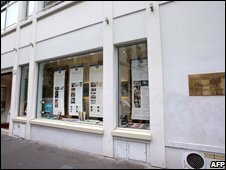 The Church of Scientology in France will be tried in court for "organised fraud", according to legal sources. The French branch of the Church of Scientology said it had been cleared of "numerous" similar charges. She says she ended up handing over more than 20,000 euros (£16,000) for courses, books, illegally prescribed drugs and an "electrometer" supposed to measure fluctuations in her mental state. However, in October a Spanish court ruled that the Church of Scientology of Spain should be re-entered into the country's register of officially recognised religions.